Visit the Southern Museum of Civil War and Locomotive History website. The Southern Museum of Civil War and Locomotive History, home of the famous “General” locomotive, offers an array of programs and activities. 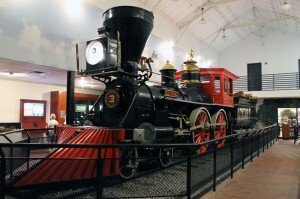 A Smithsonian Institution affiliate, the Museum offers a wide range of exhibits, including a glimpse into the daily lives of soldiers during the Civil War, a reproduction of a turn-of-the-century locomotive factory, Georgia’s Merci Boxcar, and an exciting depiction of the Civil War’s Great Locomotive Chase. The Jolley Education Center features hands-on interactive exhibits. Regular programs include interpretive tours and the weekly Mommy & Me Series for young children (Thursdays, 10 & 11:30 am). A Railroad Education Center Library and Archives offers full archival services for researchers. 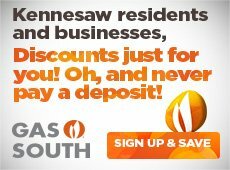 Discounted group tours, traveling exhibits, and special seasonal events are also offered. The Museum is open Monday – Saturday from 9:30 am – 5 pm and Sunday from 11 am-6 pm. For a schedule of events and programs at the Southern Museum, please call 770-427-2117 or visit www.southernmuseum.org.The Southern Museum of Civil War and Locomotive History is located at 2829 Cherokee St.